(Photo courtesy of the State of Utah) Kerry Gibson, a dairy farmer from Weber County and former state lawmaker, is the new Commissioner for the Utah Department of Agriculture and Food. 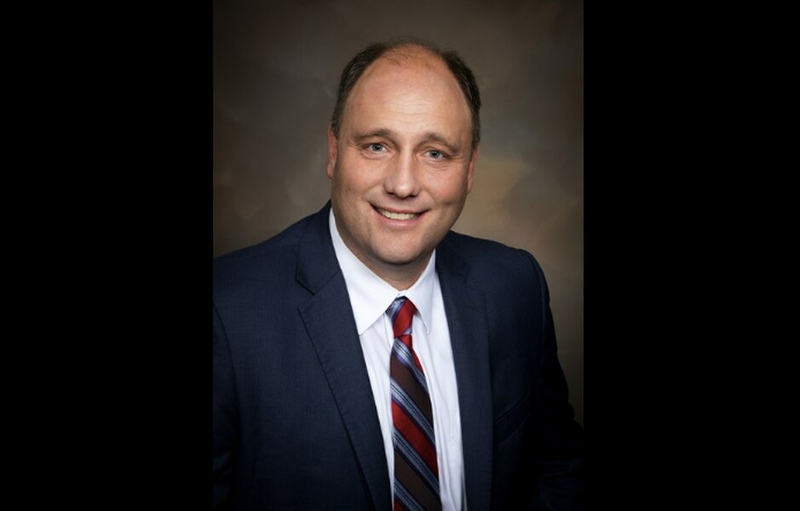 Kerry Gibson, the current deputy director for the Utah Department of Natural Resources and a former Republican legislator, has been named the new commissioner for the Utah Department of Agriculture and Food. Gibson served in the the Utah House from 2005 to 2010 and later was elected to the Weber County Commission. He will replace the retiring LuAnn Adams, the first woman to lead the department. Gibson’s appointment is subject to confirmation by the Utah Senate. During his time as a state representative, Gibson was the chairman of the Natural Resources Appropriations Committee, where he oversaw the state’s budget for natural resources, agriculture and others state departments. He also sponsored legislation dismissive of the science supporting climate change. Critics argued Gibson’s unwillingness to acknowledge the threat of global warming made him a poor choice for a key position overseeing natural resources. Gibson’s appointment as deputy director of natural resources came under another cloud in 2017, when Ogden police investigated the dairyman’s role in a flood-mitigation project on the Weber River near his family’s fifth-generation farm. A five-month investigation failed to produce sufficient evidence to prosecute Gibson on allegations he misused public funds and resources. As agriculture commissioner, Gibson will oversee nearly 200 employees responsible for — among other duties — livestock grazing; weed eradication; soil conservation; meat and poultry safety; homeland-security issues; and even some consumer-protection policies, such as ensuring that the gas pump fills your tank with the correct amount of fuel. “It is truly an honor to have been nominated by Governor Herbert as the commissioner of the Utah Department of Agriculture and Food,” Gibson said in a news release. “I express my gratitude to all of those who work so hard every day to provide food and fiber for a grateful nation. Working together with all Utahns, we can make Utah an even better place to live and thrive."